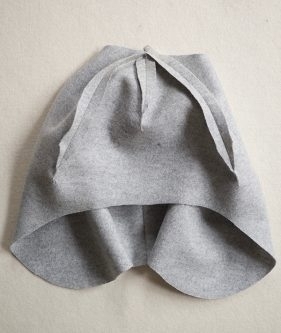 A few years ago, I designed a Winter Baby Bonnet lined in Michael Miller’s cozy Organic Cotton Sherpa. 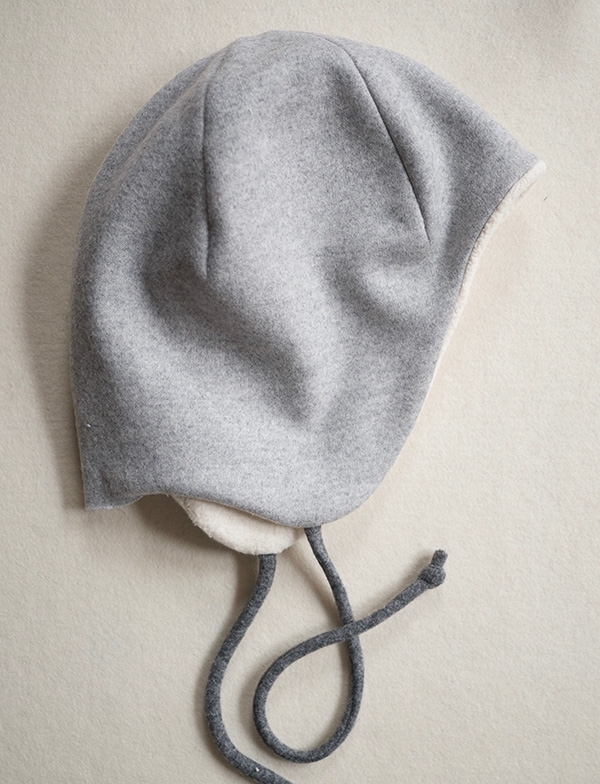 My kids still wear versions of this hat, and every morning as I bundle them up, I feel a little pang of regret. Why didn’t I make adult sizes too?! The right side of the Lana Cotta Canberra wool is the side with the small “V” pattern (as opposed to the side with the ridges). The recommended care for Lanecardate’s Lana Cotta Canberra is dry clean only. Use ¼-inch seam allowances unless otherwise noted. 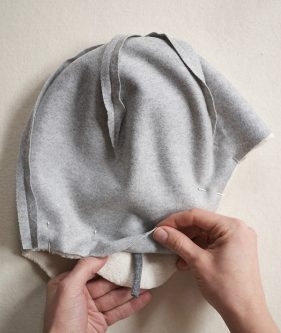 Use the prepared Outer Hat template to cut one Outer Hat from the Outer Fabric on the fold. Transfer marks A–D from the template onto the wrong side of the Fabric. Be sure to transfer them onto each half of the Outer Hat so there are two sets of marks. 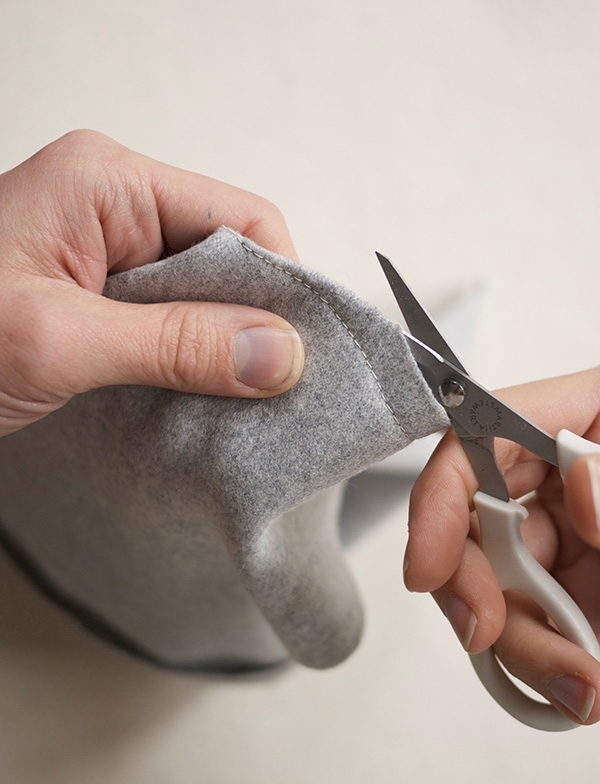 Use the prepared Lining template to cut one Lining from the Lining Fabric on the fold. Transfer marks A–C from the template onto the wrong side of the Fabric. Again, transfer a set of marks to each half of the Lining. 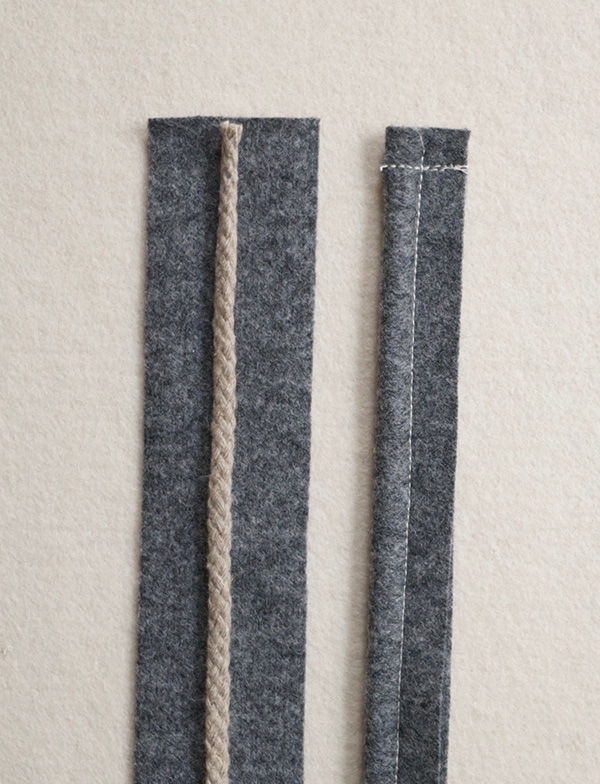 From the Tie Fabric, cut two 1 ½ by 18–inch strips. 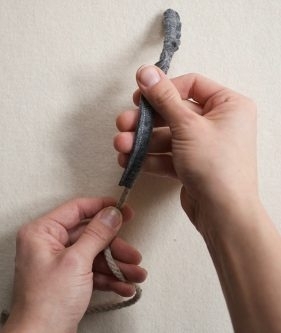 Trim the Cord to approximately 19 inches. With its wrong side facing up, lay out one of the cut rectangles from the Tie Fabric. 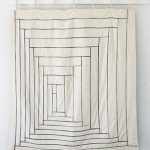 Lay the trimmed cord on top so that it runs down the center of the fabric, and one cut edge is in line with the top short edge of the rectangle. 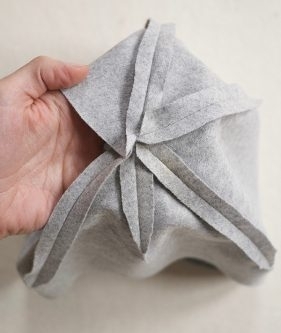 Fold the fabric in half lengthwise around the cord. Sew the fold and cord in place along the top short edge. 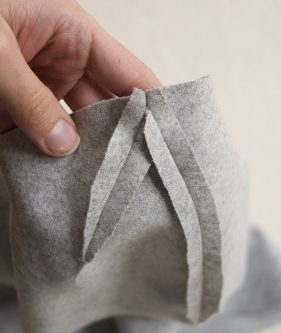 Now, change the foot of your sewing machine to the zipper foot, and with the fabric still folded around the cord, sew down the long side of the rectangle, as close to the cord as possible. Trim the seam allowances to 1/8 inch. Gently tug on the cord to pull it through the sewn channel (you may need to wiggle the cord a bit at the top sewn edge to get it moving). Continue tugging the cord until the Tie is turned completely right side out. The cord will still be connected at one end of the Tie. 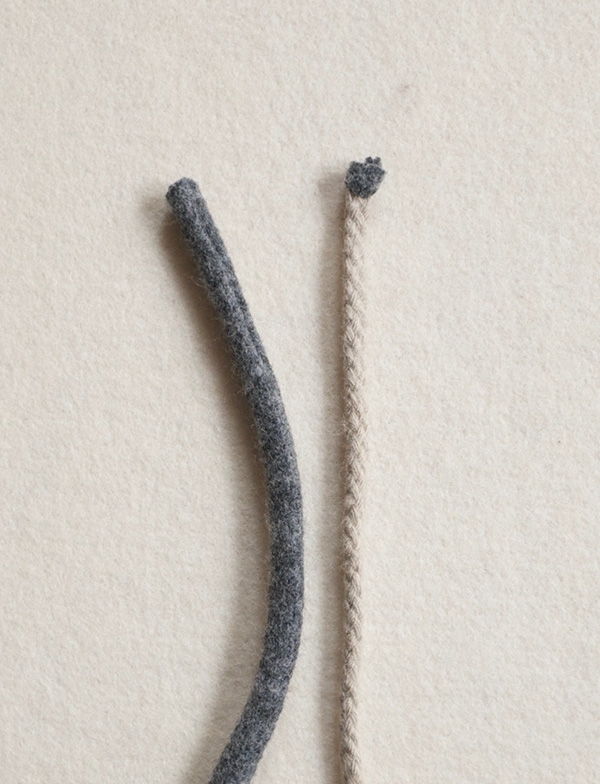 Snip the cord off by cutting through the Tie about ¼ inch down from the connecting seam line. Repeat with the remaining cut rectangle to make the second Tie. Change the foot of your sewing machine back to the standard foot. 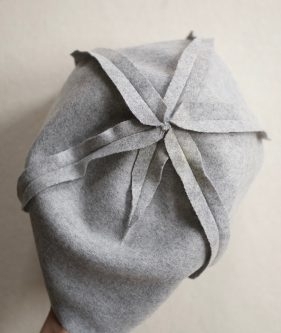 With right sides together, fold the Outer Hat in half along the same fold in the fabric you used when you cut the Outer Hat piece. Make sure to align the two sets of A-D marks. Starting at point A, sew the two layers together along the long curved raw edge, backstitching at the beginning and end of the seam. Press the seam open. This is the Back Seam. 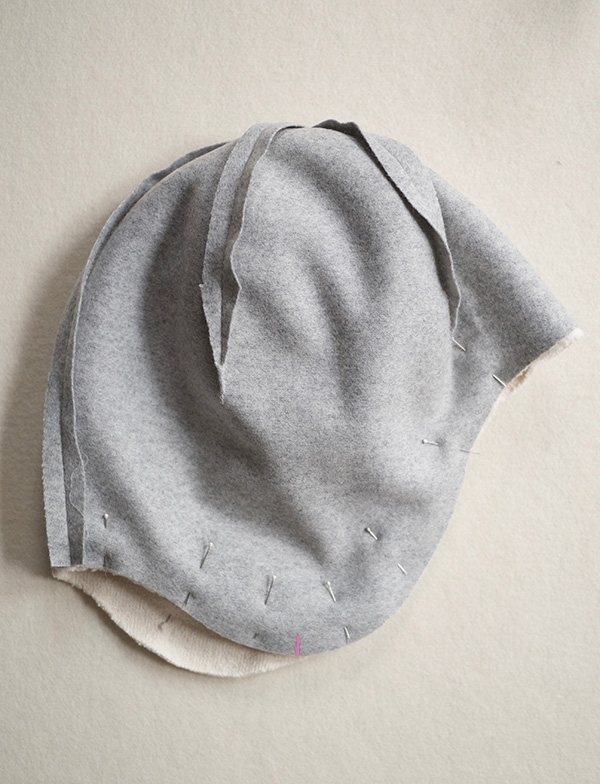 Now, with the Hat still folded and starting at point C, sew the two sides together along the short curved raw edge. Follow the line of the curve until the seam runs through the fold of the fabric. Cut through the fold of the seam allowance. Be careful to not cut past the seam line. Press the seam open. This is the Front Seam. With right sides together, fold the Hat so that the top of the Front Seam is stacked on top of the point B to the right of the Front Seam. Starting at the marked point, sew along the curve of the right-hand raw edge. Follow the line of the curve until the seam runs through the fold of the fabric. 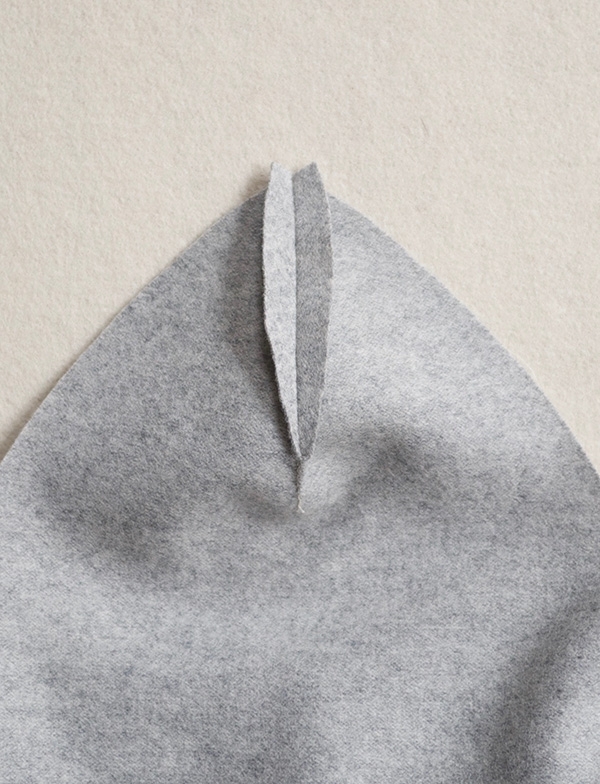 Cut along the fold of the seam allowance as illustrated above. This is the Right Front Seam. First, clip the small flap along the line of the Right Front Seam. Next, make a cut into the front layer of the Right Front Seam’s seam allowance. The cut should be at a 45-degree angle to the Right Front Seam and end at the top of the seam. Press the Right Front Seam open. 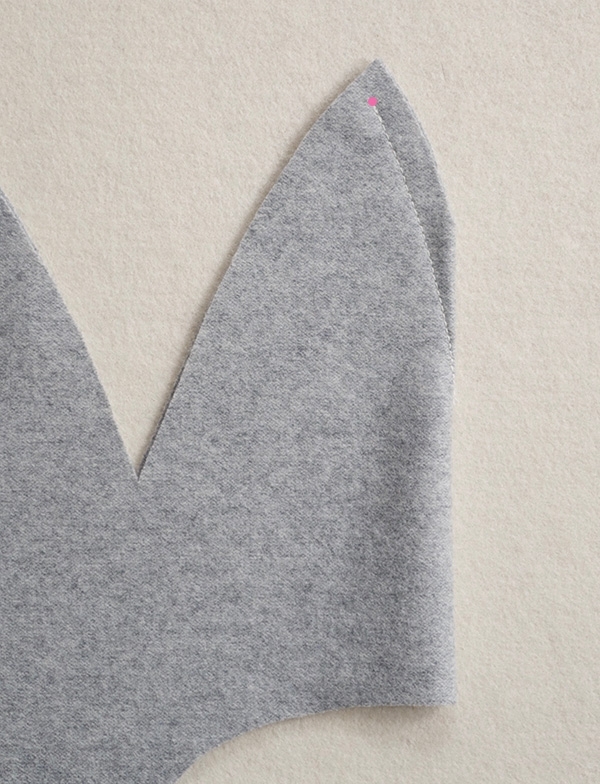 The angled cut at the top of the seam allowance should run parallel to the Front Seam. 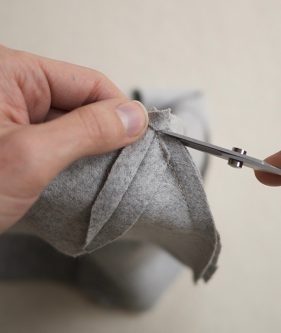 Now, with right sides together, fold the Hat so that the top of the Front Seam and Right Front Seam is stacked on top of the point B to the left of the Front Seam. Sew, trim, and press as described above. This is the Left Front Seam. 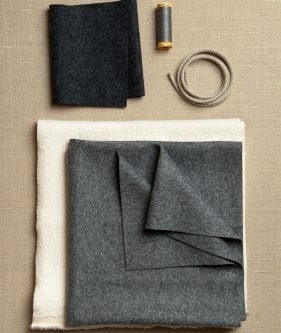 With right sides together, fold the Hat so that the top of the Right Front Seam is stacked on top of the Back Seam. Sew, trim, and press as described above. 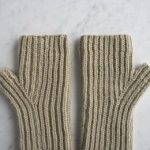 Repeat with the Left Front Seam. 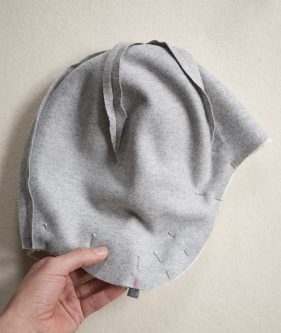 Change the foot of your sewing machine to the walking foot and sew the Lining as described for the Outer Hat. With right sides together, slide the Lining inside the Outer Hat. Align the Back Seams, and pin the pieces together along all the raw edges. At one point D, slip a Tie in between the layers of the Hat. Line up one short edge of the Tie with the raw edge of the Hat at the marked spot. Pin the Tie in place. Repeat on the other side with the remaining Tie piece. 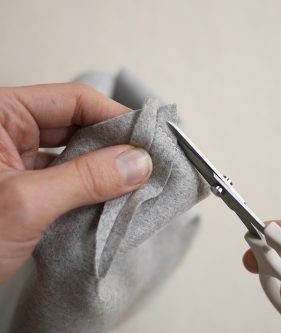 With the walking foot still attached to the machine, sew around the pinned edge, leaving a 2 ½-inch gap at the Back Seam. Backstitch at the beginning and end of the seam. Trim the seam allowance along the sewn edge, leaving the unsewn area untrimmed. Pull the Hat right side out through the unsewn gap and press the edge flat. Sew the gap closed with a Ladder Stitch. 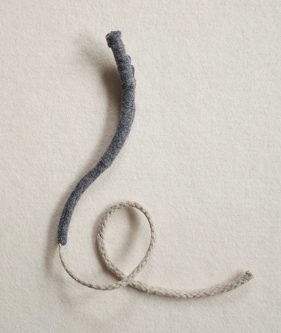 For a detailed explanation of this stitch, check out our Ladder Stitch Tutorial. Once you’ve finished sewing, try the Hat on. Trim the Ties to your desired length and make a small overhand knot at each end. Thank you for writing in! 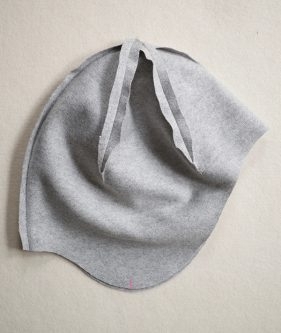 The template can be found by clicking the link that reads, “Wool + Cotton Sewn Ear Flap Hat template” under the materials section. If you have further questions please let us know! Great hat! But couldn’t find the templates. Help. I love this! 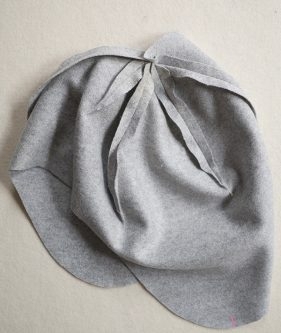 I have made your baby’s bonnet (from an old felted cardigan that was my late mother’s) and had been thinking that I’d really like one myself. So thank you! 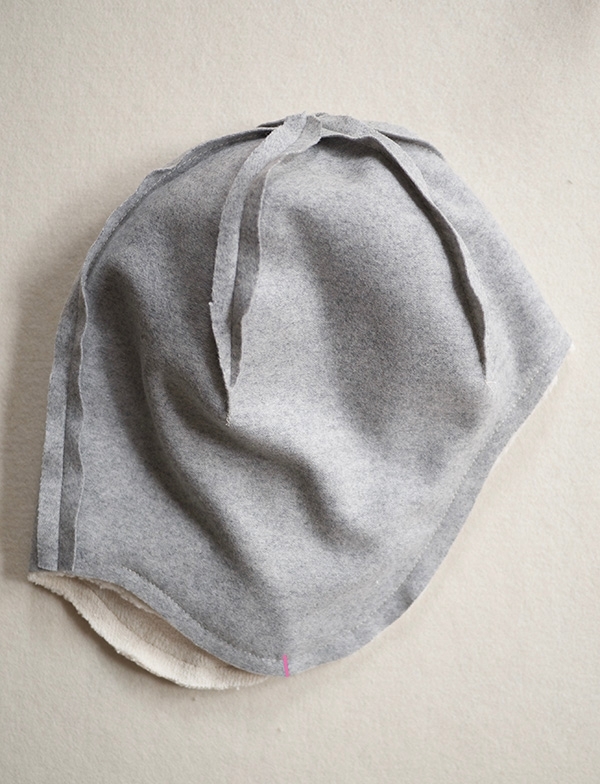 Should the finished hat always be dry-cleaned then … since the Lanecardate is dry-clean only?! Thank you for writing in! 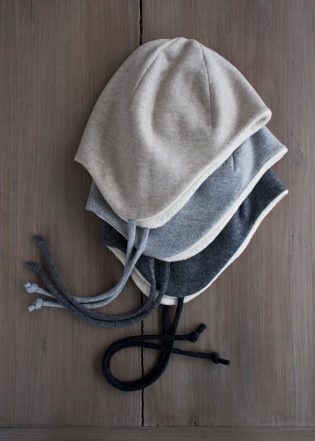 You can dry-clean the hat if you’d like, but you can also gently hand wash it. For hand washing, I recommend using something like Soak. It cleans very well without a lot of agitation. If you have further questions please let us know! This is wonderful! Certainly looks like something I could make many of to leave at the homeless shelter near here. Thank you! Thank you so much for the pattern. I love the hat and will be making a few for presents for my grandkids. Still winter here in Toronto, have cut out 5 from a piece of red wool I was saving for a “special” project and will search in my stash for my cotton Sherpa material…All for my Great Nieces..(they loved their winter hats but outgrew them!) …..will embroider snowflakes and snowmen on the sides with their initials….thanks for a great pattern! Ah, I adore the idea of embroidered snowflakes and snowmen on the sides! Thank you for writing in! Very nice–I’ll put this aside for next winter. It would be helpful to see it on an adult and also tied. Any chance you could provide a 1-2 page printable PDF in addition to the visual tutorial above? The photos are very helpful, but a simplified (printable) version is nice to have as a reference. I keep copies of patterns/projects with my sewing supplies, and that makes it easier to start them, add my own notes, and make them again, etc. Thanks for your consideration! Thank you for writing in! We do have this available as a printable PDF. If you’re on a desktop version of the site, you will find a “print” icon in the right column just below the date and tags. If you’re on a mobile version of the site, you will find a “print” icon below the pattern and above the comments. Thank you so much for writing in! The pattern is not included in the kit, but we can print it out for you and put it with the kit. If you are ordering the kit online just include a little note in the Special Notes section saying you’d like us to print the pattern for you. Or if you are ordering over the phone you can tell us then. We appreciate your taking the time to write in and for the record there was nothing inappropriate about your comment 🙂 ! Your question was a good one! We have been getting a large volume of comments recently and it takes us some time to get through them. I am sorry for the delay in responding to your question, but I have responded. If you have further questions, please let us know! Again, thank you so much for writing in! Hi! 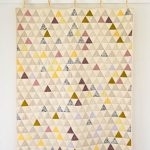 I love this pattern, thank you so much for putting it up. I was wondering though, would it be feasible to make this with say, Liberty of London backed with Dream Wool batting and the sherpa lining? I was wondering if using a cotton outer would make the seams pucker or buckle. I’d love to make a few using the gorgeous Liberty florals for a spot of colour in the winter. This is totally feasible! We did something similar with our Winter Baby Bonnet. Thank you for writing in! 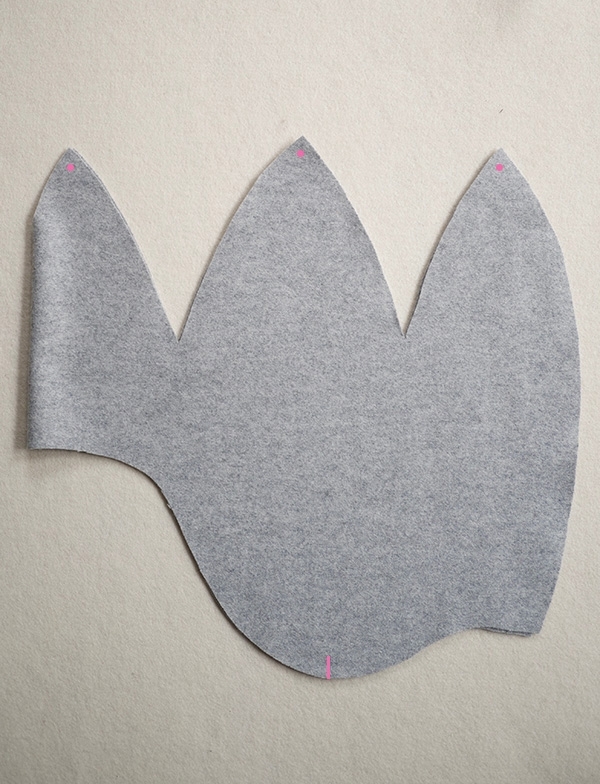 Regarding the paper pattern….am I supposed to tape the earflaps to the main body piece and then cut out in one unit? I don’t see any seams in the hat in your photos. I guess everyone understands what to do about this, but I don’t. And then, would I have to fold a pice of paper and lay the one pice that says to cut on the fold to make a pattern piece for that part? I’m really in the dark about this and would love to make this hat. I already bought my kit. Thank you! Thank you for writing in! You are correct! You are taping all the pieces together then cutting it out in one unit. So, you’ll print out the template, cut the pieces and then tape them together following the assembly instruction found on the pieces them selves. 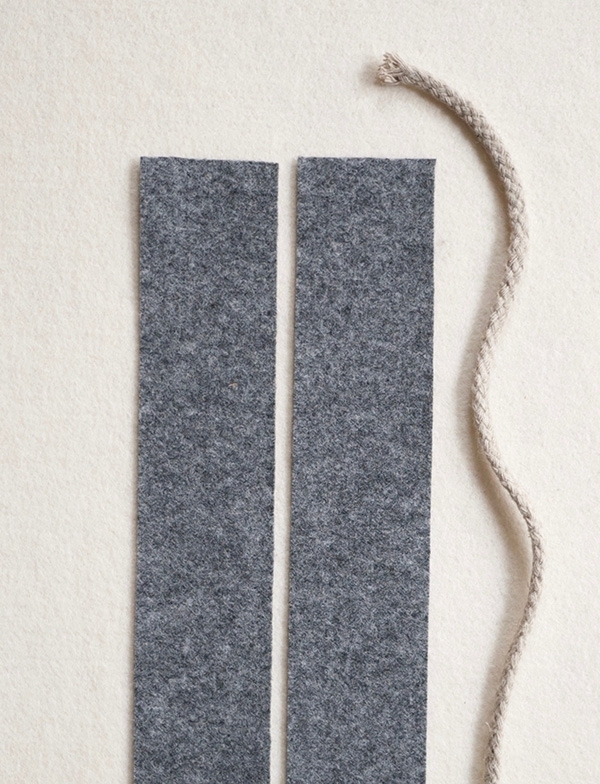 For example, you’ll tape piece 1 to piece 2 together at the line that reads, “attach to piece 1” (found on piece 2). 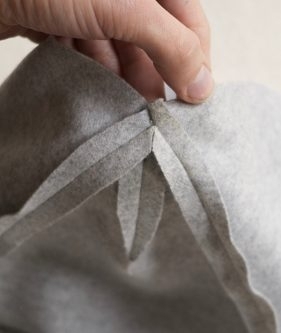 You don’t need to fold the paper, you’ll just lay the template down lining up the part that reads “place on fold” with the fold of your fabric. 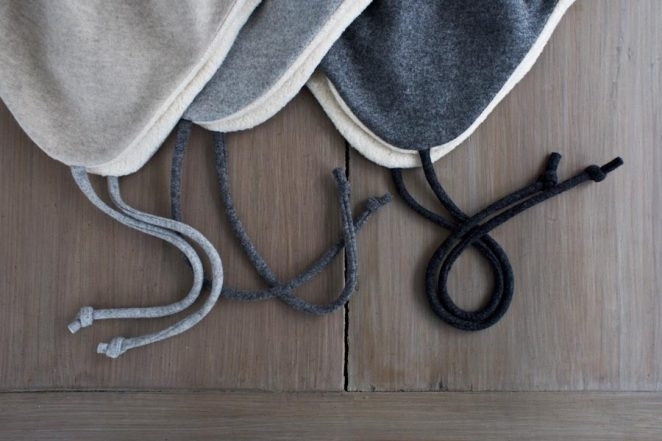 The template is for half of the hat and by placing it along the folded edge of your fabric you will be creating the whole hat once you cut out the pattern and open it. Does that make sense? Any suggestions on how to size it up. My son would like one but has a bigger head. To size the pattern up, I recommend simply printing the pattern out at a slightly larger scale, so that you get the circumference that you are looking for. I would then make a sample of the Outer Hat using scrap fabric and make any additional adjustments to the pattern from that piece. Once you have the fit you are looking for, transfer all adjustments to the paper patterns for both Outer Hat and Lining. 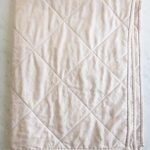 I have some leftover sherpa fabric and I think this project is perfect to use it up. Question is: I don’t have the equivalent of the Lana Cotta Canberra and it’s hard to gauge from the picture of the thickness. 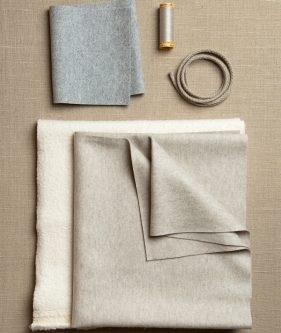 Would you say that this fabric is similar to fleece? If not, does PurlBee sell Lana Cotta Canberra fat quarter (per piece) only, instead of the kit? Many thanks in advance. Thank you for writing in! These are great questions. Unfortunately, we do not sell the Lana Cotta in fat quarters outside of the kit. 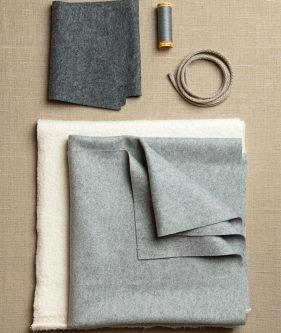 You could order 1/2 yard to have enough fabric to make two hats, or certainly replace the fabric with a fleece. The Lana Cotta Canberra is around 1mm thick, about the same as a thin fleece. 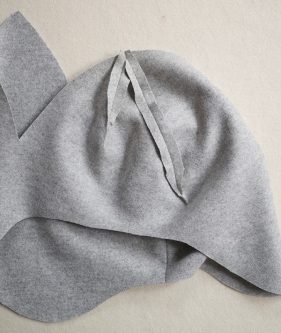 How would I adjust this for an infant size? Thinking this is more boyish than the tie bonnet! Thanks! Thank you for writing in! 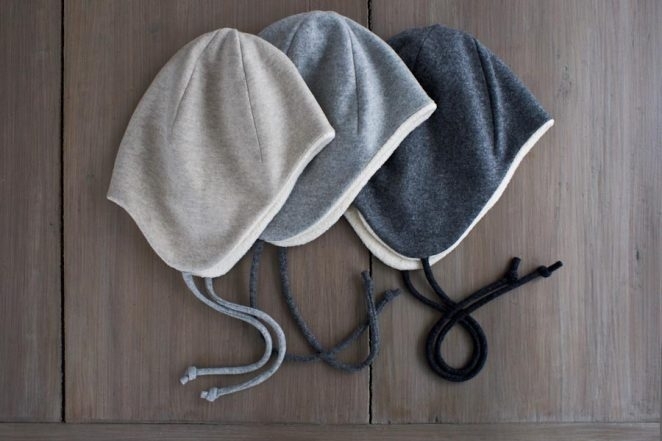 I agree that this would make a lovely hat for babies, and we’ve talked about adding that pattern to our site next fall! 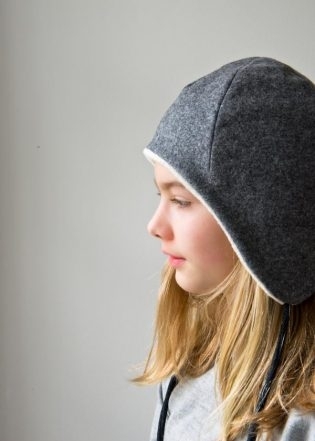 In the meantime, I recommend simply printing the pattern out at a smaller scale, so that you get the circumference that you are looking for (you can use the sizing of the Winter Baby Bonnet pattern as a guide). I would then make a sample of the Outer Hat using scrap fabric and make any additional adjustments to the pattern from that piece. Once you have the fit you are looking for, transfer all adjustments to the paper patterns for both Outer Hat and Lining and sew your final hat! 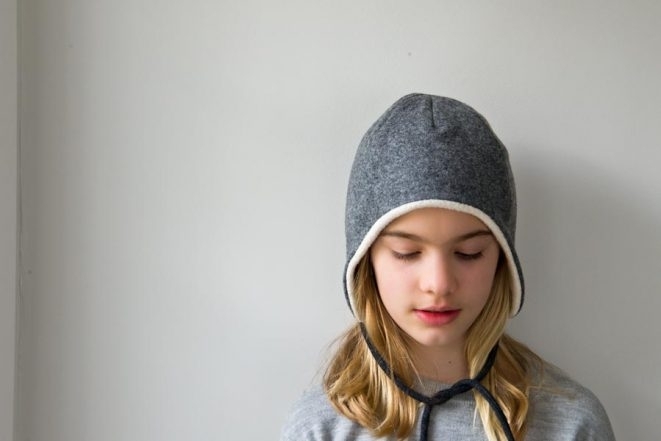 Alternatively, you could use the style of this hat as a guide to make slight adjustments in the design of the Winter Baby Bonnet (for example, drawing in small ear flaps in place of the ties and perhaps slightly extending the front brim). This could help ensure the fit, and give you some creative freedom with the design! Again, I would recommend making a sample in scrap fabric first. Any suggestions for making the ties any easier? I’ve tried three times and can not get them to turn inside out. Just end up with a mess. The rest of the pattern is easy enough, but beyond frustrated with the ties. Thanks! I am sorry to hear that you are having difficulties! I would suggest sewing a little further out from the cord in order to give it just a little more space. This should allow you to more easily turn the cords right side out! Dear, It’s the best site with tutorial, that I know! Amazing! The best tutorials, very explaned! This hat is adorable. I’d love to see one for men, too!! Thanks for writing in and for the suggestion! We will certainly keep it in mind for the future! any chance this would be available for newborns, and toddler?? Unfortunately at the moment we only have these sizes, but we’ll keep this in mind for future projects. Stay tuned! 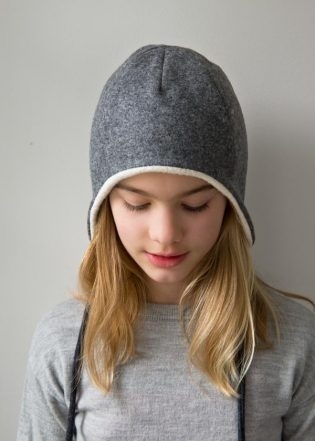 I ordered the kit for this hat but was unable to download the template and instructions. Would you be so good as to mail them to me? (curious – why were they not included in the kit? $50 is a fair sum.) In advance, many thanks. I hope that you enjoy making this luxurious ear flap hat! I really enjoyed sewing this hat. Used the kit. Is this an adult sized hat? Thanks for writing in! This hat is sized to fit most women’s heads and has a finished circumference of 20 inches. I enjoyed making this hat so much. I would like to order more M. Miller Organic Sherpa and I noticed there are 2 choices from PurlSoho. 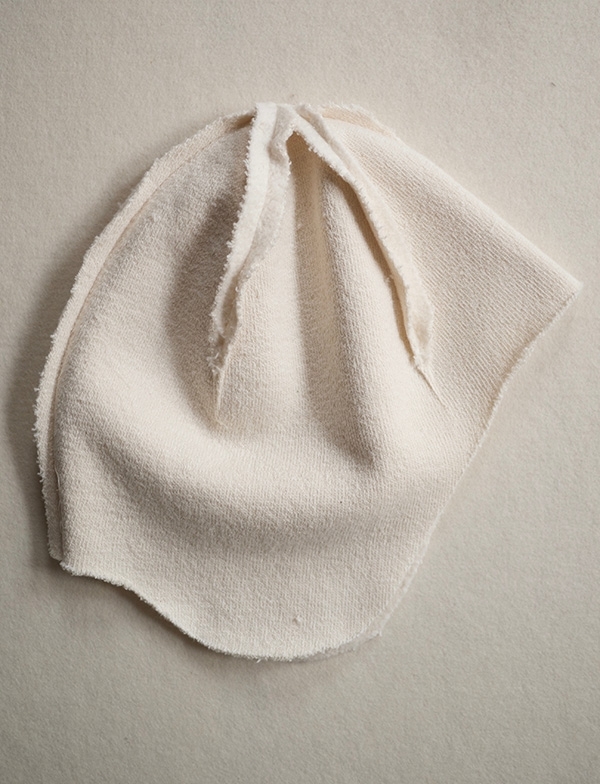 Which Sherpa is used in the Wool Ear Flap Hat kit? I’m so glad you enjoyed making the hat! The Sherpa we used was the Organic Sherpa. It’s delightfully squishy and warm! This hat is gorgeous. 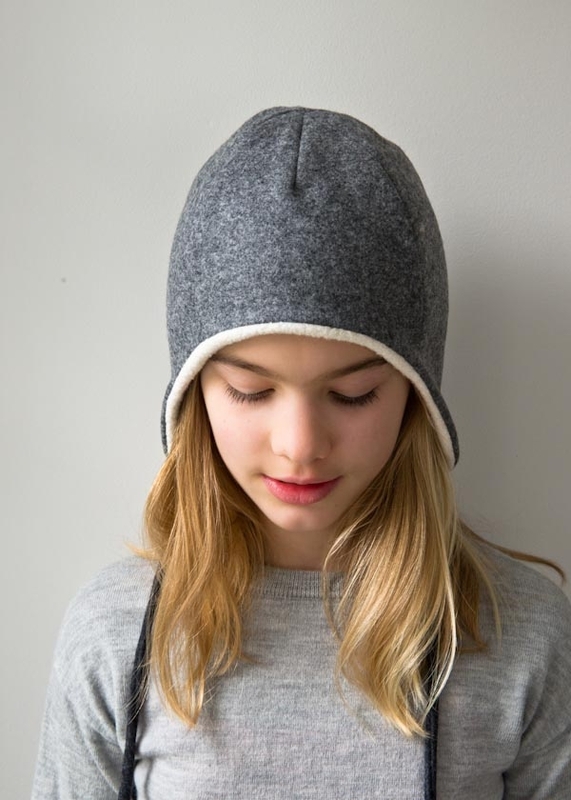 Wish you all you would make a knitting pattern for a hat like it…. 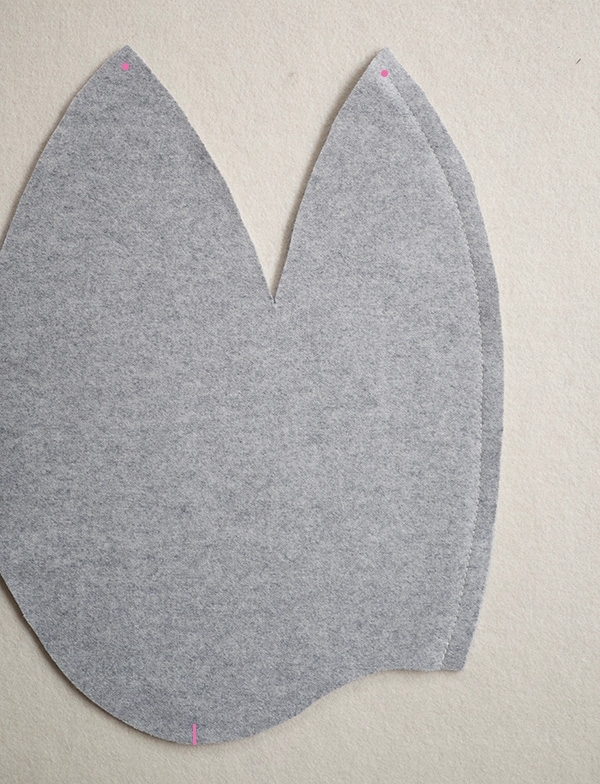 I have cut out the pattern for the Earflap Felt Hat and am having trouble putting the hat together. Why do you show the photo having the front and back in one piece but no instruction for attaching piece 3 to the hat. Extra seams are not necessary unless you include the instructions. If I had paid for the pattern instead of downloading the free pattern would the instructions have been different? Thanks for writing in! I am sorry to hear that you are having difficulties! 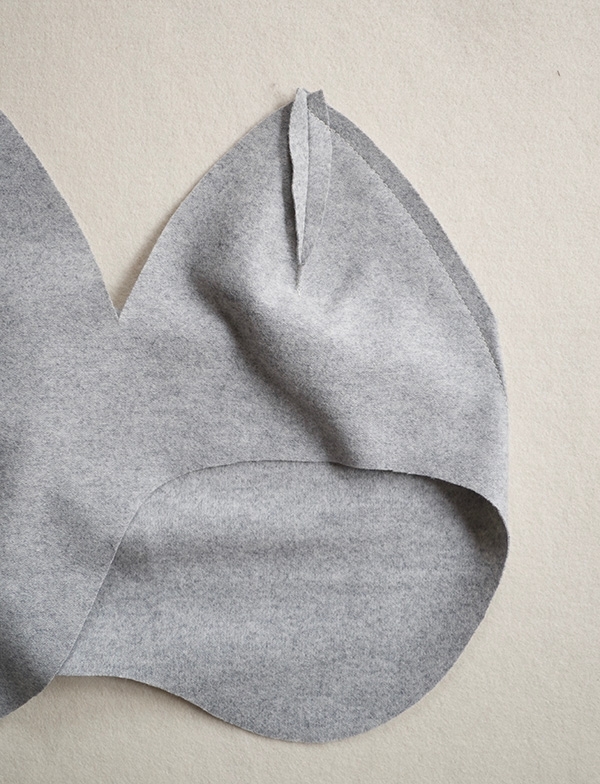 When downloading and piecing the template for this lovely little hat together, you should have just 2 pieces once you have finished taping the template pieces together. You will tape pieces 1 and 2 together and then tape piece 3 to the bottom of piece 1 and 2 for the outer hat and complete the same process for the lining pieces as well. This will result in one piece for the outer hat and one piece for the lining. I just found this pattern, but can’t find Lana Cotta Canberra. 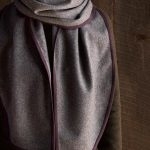 What would you recommend for the outer fabric instead? Thanks for the pattern. Great question! While we no longer carry the Lanacotta Canberra, you could use the Dorr Mill Wool Yardage here! Hello, is the kit no longer available? Thank you! Thanks for writing in! Unfortunately the kit is discontinued and we no longer carry Lana Cotta Canberra, although the cotton sherpa is still available. 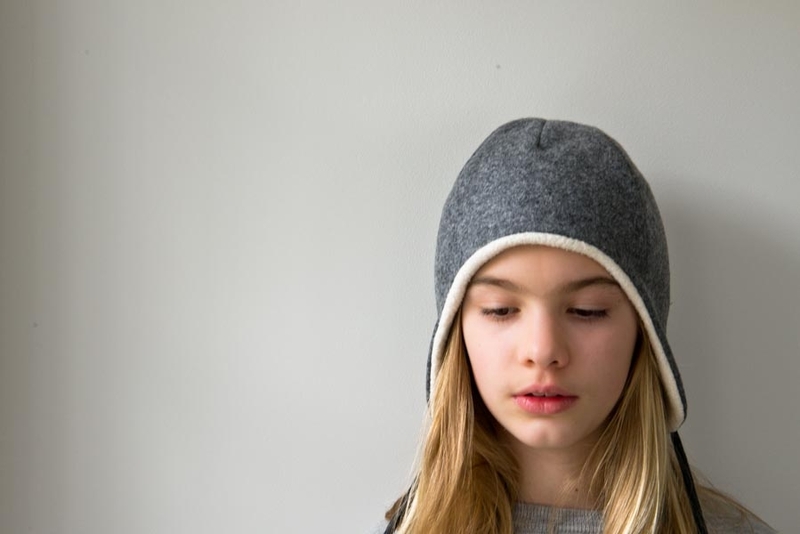 I would recommend substituting Dorr Mill Wool Yardage for an equally cozy hat! Hello, thanks for great template but somehow i don’t see if i should add sew allowance or is it already calculated in the template? Thank you. Thanks for reaching out! All of our templates do already include the 1/4″ seam allowance indicated in the Notes portion of the pattern, so you do not have to add one.